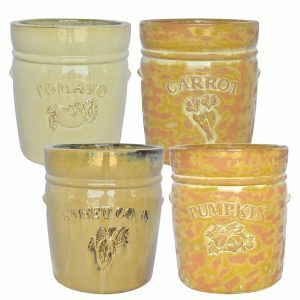 Add some rustic farm house flair to your store with our Farm Life collection of planters. 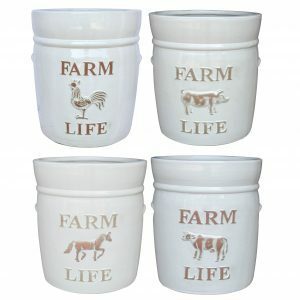 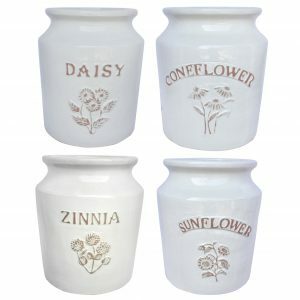 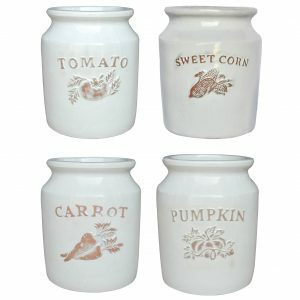 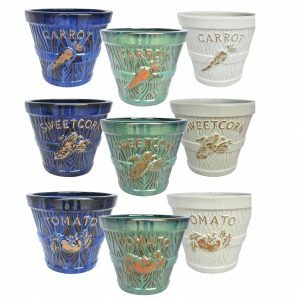 Raised farm theme designs adorn these pots. 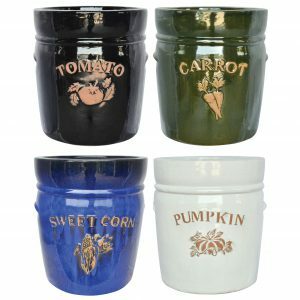 Available in a wide range of designs and colors featuring vegetables, animals, flowers and dairy. 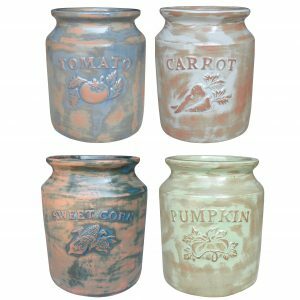 Some even feature a rustic, scraped glazed finish for a true one-of-a-kind antiqued look.